1.1 The webshop terms and conditions set out in this document (this “Agreement”) apply to the use of our webshop (shop.anton-paar.com/sk-en/) and all online purchase orders made in it. Before you can make an order on our webshop; you must open a webshop account by registering on our webshop. 1.3 You can save or print this Agreement by accessing this link. However, please note that your saved or printed version applies only to online purchases you make at that time. We may at any time and in our sole discretion change this Agreement. You are therefore required to always check for the latest version of this Agreement applying to your new online purchase order before you make your new online purchase order. (To assist you with this, you can check and compare the document date of the document you have with the document then available.) 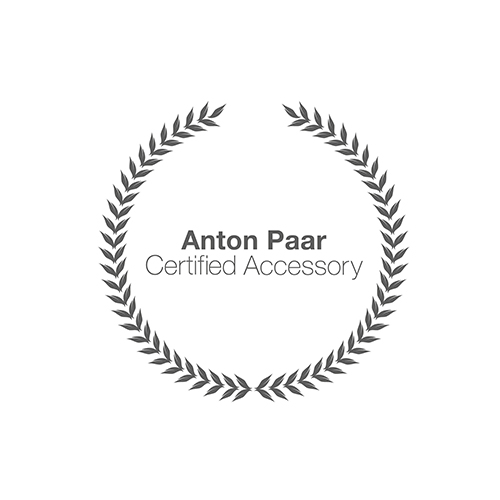 You find the latest version at shop.anton-paar.com/sk-en/terms. 2.1 We are Anton Paar Slovakia s.r.o., VAT ID No. SK 2120386653, a private limited company, with its registered office and place of business at Aupark Tower, Einsteinova 24, Bratislava 851 01, Slovak Republic, registered at the district court of Bratislava (Okresný súd v Bratislave), under registration number 50 568 795. The parties to this Agreement shall not be liable to each other for any indirect, special, consequential or punitive damages, nor for any loss of actual or anticipated profits, savings, business, down time or damage to goodwill. 10.4 All claims must be brought before the competent courts within two years from the delivery, except in cases statutory law provides for a different period of limitation. 15.2 To exercise the right of withdrawal, you must inform us (Anton Paar Slovakia s.r.o., Aupark Tower, Einsteinova 24, Bratislava 851 01, info.sk@anton-paar.com, Tel: +420 (233) 356634) of your decision to withdraw from this contract by an unequivocal statement (e.g. a letter sent by post, fax or e-mail). 14.4 If you withdraw from this contract, we shall reimburse to you all payments received from you, including the costs of delivery (with the exception of the supplementary costs resulting from your choice of a type of delivery other than the least expensive type of standard delivery offered by us), without undue delay and in any event not later than 14 days from the day on which we are informed about your decision to withdraw from this contract. We will carry out such reimbursement using the same means of payment as you used for the initial transaction, unless you have expressly agreed otherwise; in any event, you will not incur any fees as a result of such reimbursement. We may withhold reimbursement until we have received the goods back or you have supplied evidence of having sent back the goods, whichever is the earliest. 14.5 You shall send back the goods or hand them over to us without undue delay and in any event not later than 14 days from the day on which you communicate your withdrawal from this contract to us. The deadline is met if you send back the goods before the period of 14 days has expired. You will have to bear the direct cost of returning the goods. 20.1 This Agreement, the use of this website and any order or purchase made through this webshop are governed by Slovak law, without its conflict of laws provisions. The United Nations Convention on Contracts for the International Sale of Goods does not apply. 20.2 A reference to a particular statute, statutory provision or subordinate legislation is a reference to it as it is in force in the Slovak Republic from time to time taking into account any subordinate legislation for the time being in force made under it. 20.3 All disputes arising out of or in connection with the present Agreement, your visit to our website or webshop or any item purchased by you through our webshop, shall be subject to the exclusive jurisdiction of the competent court in the Slovak Republic.